Only one day left before the Gold medal game in the 2007 South Pacific Games. Three teams are fighting for the two spots in the final game: Fiji, Guam and Samoa. Fiji is so far undeated after they won by 1 point against Guam. At second equal is Guam and Samoa and the game tonight will decide whether Samoa will play for the gold tomorrow or for the bronze. The Samoa boys will not only have to win their game against Fiji but in order to be number one on the charts, they have to win by 5 or more points. The defending champion New Caledonia will not win another SPG title and will have to defeat the Solomons to play for the Bronze medal. 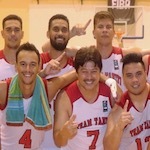 Tahiti lift Polynesian Cup 2018 title beating Samoa 77-73 in the Final game. Ariirimarau Meuel top-scored for the winners with 23 points to be name MVP of the tournament. Michel Audouin poured in 19, whilst Larry Teriitemataua scored 11. 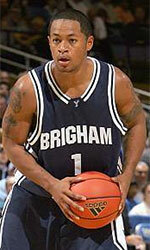 Sapeti Tufuga replied with 22 points while Theodore McFarland added 13 points and 15 rebounds in the loss.